Ipsy time! March's bag is Destination Beauty themed. This month's bag design is by artist Klari Reis who designed it as the layout of San Francisco. I received a Be a Bombshell eyeshadow quad, Nicole by OPI polish, Pixi foundation and bareMinerals lipstick. 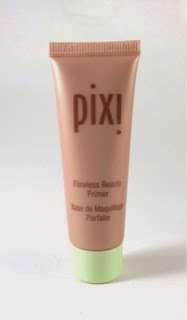 Pixi has been a product I've received on numerous occasions from Ipsy. 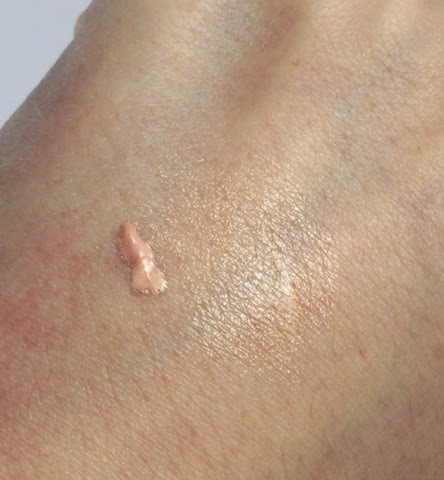 Flawless is a shimmery primer designed to give you a luminous glow underneath foundation or just to give you a dewy look on it's own. The formula is anti-aging and fortifies. 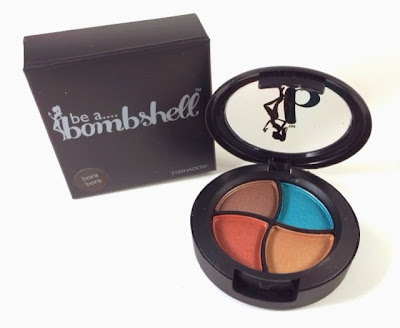 Be a Bombshell is a brand who's eyeshadow I haven't tried before. Initially I was going to throw it into my swap box but then I swatched it. 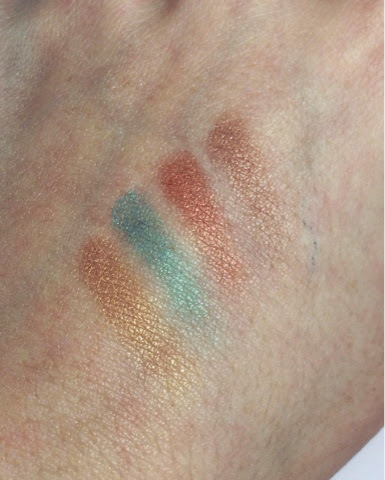 The shadows are shimmery and pigmented. I loved the sheen of them and really enjoyed the color palette. I always love golds and blues! The texture is very buttery and blendable. My mind has been changed! I typically think of myself as a gloss girl not a lipstick one. Get Ready is gorgeous! This lipstick is incredibly moisturizing. The color was not as intimidating as I thought at first but very pigmented. bareMinerals has given me another pleasant surprise in this glam bag! Maybe I am a lipstick girl after all. I have never been into the textured polish trend. On What Grounds? 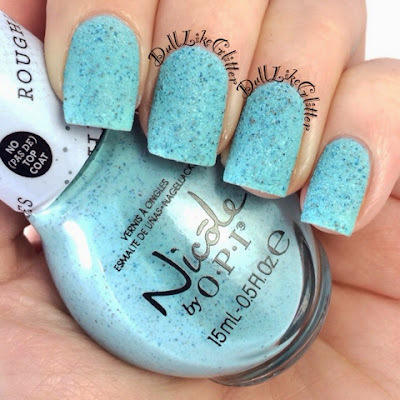 is a teal sandy textured polish from Nicole by OPIs new Roughles collection. The polish was full coverage in two coats. If you like textured polish I suggest it but, I still don't like the trend and will be putting it up for swap on my Edivv swap account. If you'd like to swap for this make me an offer. Overall I was pleasantly surprised by this Ipsy bag. 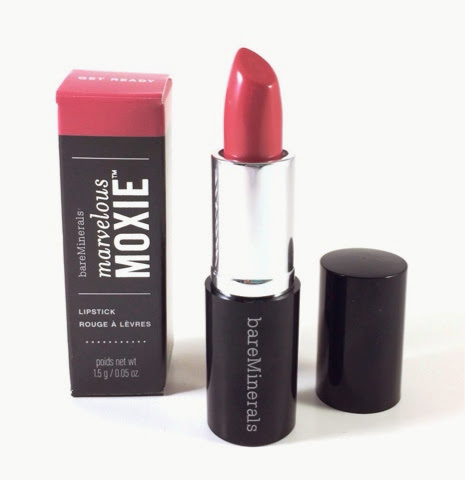 My favorites are the bareMinerals Marvelous Moxie Lipstick in Get Ready, Pixi Flawless Beauty Primer and Be a Bombshell Eyeshadow Quad in Bora Bora. The Nicole by OPI in On What Grounds? was a great polish I just don't like textures. My total value was $40 in this one little bag! Ipsy is only $10 a month. It's easy to sign up, just take Ipsy's style quiz here and Ipsy will handpick items that are chosen for you each month and send them to your door. What did you think of Ipsy's March Glam Bag?